Sponsored: Did you make the SOLAS deadline? We are now nearly three weeks into July, and three weeks since the SOLAS regulation was put in place. Ports from across the world have been calling, phoning and emailing us to get their hands on our new Container Monitoring System, compatible with reach stackers, RTG’s, custom spreaders and straddle carriers. The system consists of a bespoke Twistlock Load Cell matching the exact ISO requirements for Twistlocks and with a 6:1 safety factor, along with an optional HMI monitoring screen for the cab. The complete system is designed and manufactured in the UK by DLM and AMBA dockside both of which hold ISO:9001:2008 quality standards. DLM has a team of specialist design engineers with over 25 years’ experience in the design and manufacture of high quality bespoke load cells and load monitoring systems. 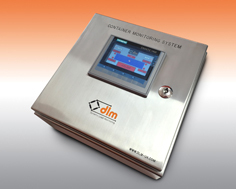 DLM provides a unique system for both single and twin lift vehicles and when used in conjunction with Container Monitoring System, it will provide accurate Verified Gross Mass (VGM) readings, centre of gravity position, usage reports and integration to TOS systems. The solution is already proving to be popular as it fits precisely into the existing machinery and provides a cost effective, accurate and repeatable load reading with minimal installation required. With minimal maintenance required for the Twistlock Load Cell they can easily be incorporated into existing maintenance schedules, thus resulting in operators familiar with their equipment not being required to begin learning new procedures or practices.